﻿ EURO 2012 » Poll: Do we really need EURO 2012 in Ukraine? EURO 2012 > Euro 2012 > Poll: Do we really need EURO 2012 in Ukraine? Poll: Do we really need EURO 2012 in Ukraine? Information agency “Tavria News” conducted a public opinion poll during 90 days by voting online. The main questing was “Do we really need EURO 2012 in Ukraine? Poll results clearly demonstrate the relationship of Kherson people (as part of Ukrainian society) to this event. What conclusions can be made out of such data? Ukrainians still do not really want EURO 2012. The poll was cunducted among a small group of people so it cannot be viewed as fully objective. It may only show some tendencies. But however I personally as a EURO 2012 fan a bit upset with such an outcome. I believe, ukrainians should cherish such an oppotrunity. 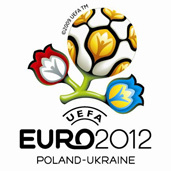 EURO 2012 football championship is a wonderful occasion for Ukraine and Poland to become popular in world society. We can gain recognition and fame by serving as a playground for such grand event as this european football contest. Well anyway there is one year more to go. Things change. We still have lots of time to improve both our opinion and country infrastructure! Ukrainian blogger and EURO 2012 enthusiast.